Need a comfort dish that’s gourmet enough for friends? Look no further! Make it as written by my foodie friend Steve, or with a few lightened-up modifications I suggest. You won’t be disappointed by either, and the best part? With all your seafood prepped, throw it together in 12 minutes! Steve and I have known each other since high school and recently re-connected on Facebook. He and his wife have a great appreciation for good food and wine – something, of course, near and dear to mine and my husband’s hearts. While we still haven’t seen each other in person, we talk virtually about cooking; and about dishes that make our mutual network friends salivate. When he posted about his “artery-clogging” comfort dish of Seafood Linguine Alfredo that he is famous for with family and guests, I knew we would be foodie friends for a long time! 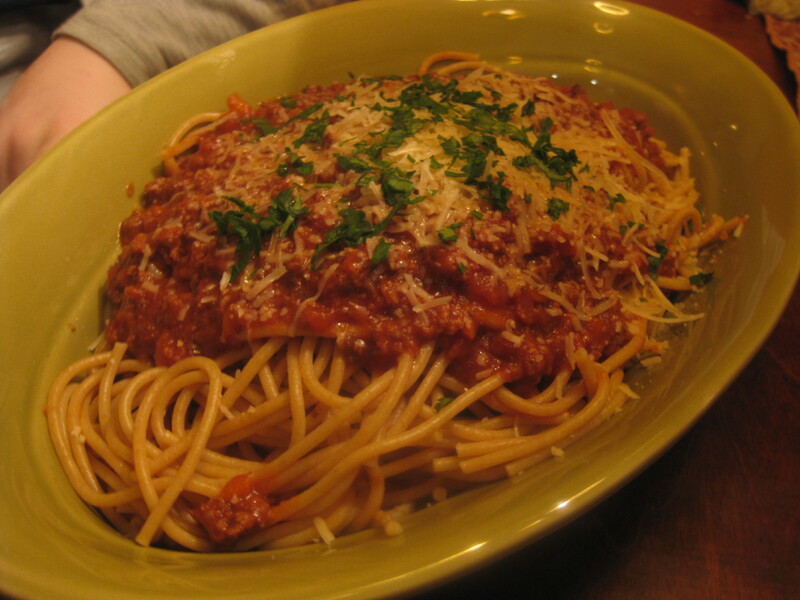 Steve was kind enough to share this recipe with me, knowing full well I would be reviewing it. Now, readers… we all know that anything dubbed “alfredo” is not exactly in the diet books. I figured it wasn’t going to be heart-healthy. I saved making this one for my birthday treat, because I had plans to go back on to the South Beach Diet soon after making it. What I wasn’t prepared for, was the proportion of the forbidden foods in his recipe (cream, butter, cheese). Here is the original recipe, as he shared with me. 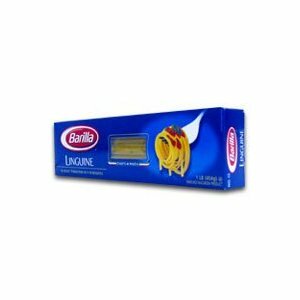 Cook the linguine noodles per package instructions and to your desired tenderness. 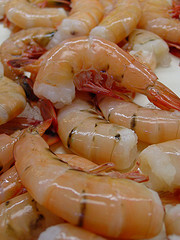 As your noodles are boiling, cook your shrimp over medium heat in a stick of butter (he uses a wok for this – brilliant!) and 2-3 tbsp of olive oil. Season with salt, pepper, basil, and oregano. When just about cooked, remove shrimp with slotted spoon into a medium bowl; set asi de. Add again more butter, olive oil and seasonings. Cook the bay scallops; when done, remove with slotted spoon and add to the bowl with the shrimp. To pan or skillet – again add another stick of butter, more olive oil and seasonings. Drain noodles. Return noodles to pot, add in the cooked shrimp and scallops from the bowl. Pour in the butter mixture, pour in the crab meat, pour in the heavy cream ( half a pint or so ). 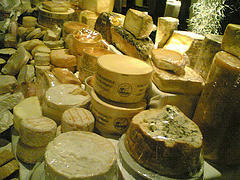 Then, pour in all three grated cheeses, stir; add milk or cream until you have the right consistency. Serve immediately. Steve and reader friends… this is a recipe for a bona fide food coma! While I have a true appreciation for all great food, wine, and the glory of butter and cream – (remember, I’m married to a Frenchman) – I simply could not handle this recipe exactly the way in which he intended – others might. The recipe itself is fantastic. I just needed to lighten it up a bit to accommodate our own tastes. I really wanted to remain loyal to the integrity of the recipe, to honor Steve’s claims that it is the best of the best. So, I kept an open mind, even as I was preparing it. I thought, “if I can fathom that an extra stick of butter will make this better, I will keep it in”. For me, it just wasn’t necessary. This recipe was decadent, even with a significant reduction in the amount of butter and cream. My proportions were almost the same, with the exception of the butter and oil: I simply reduced the amount of each stick of butter by two-thirds (using approximately 3-4 tablespoons of butter in each panful), and only 1/2 tbsp of olive oil. I also eliminated the “or so..” option of the heavy cream. I used exactly one half-pint (small container) of heavy cream, and thinned with chicken stock a bit to acquire the desired saucy consistency. The only other thing to note, is that since he didn’t specify the amount of (assumed) dried herbs to use, I used about 1/4 teaspoon of Italian seasoning blend for each batch of seafood that I sautéed. Steve, if I did not get this right – I can edit! The beauty of blogging. Reduce butter amounts as suggested above. Incorporate 1/4 cup white wine or 2 tablespoons of fresh squeezed lemon juice into last step of tossing ingredients together to add a little brightness and thin the heaviness a bit. Then I would garnish with a few thinly sliced lemons – it needs some color. That being said, the general rule in presenting is that you shouldn’t garnish with an ingredient that hasn’t been used in the dish. Reduce the amount of dried herbs used and add 1 tablespoon of fresh chopped basil in the last step. Garnish at the end with a sprig of basil for color. 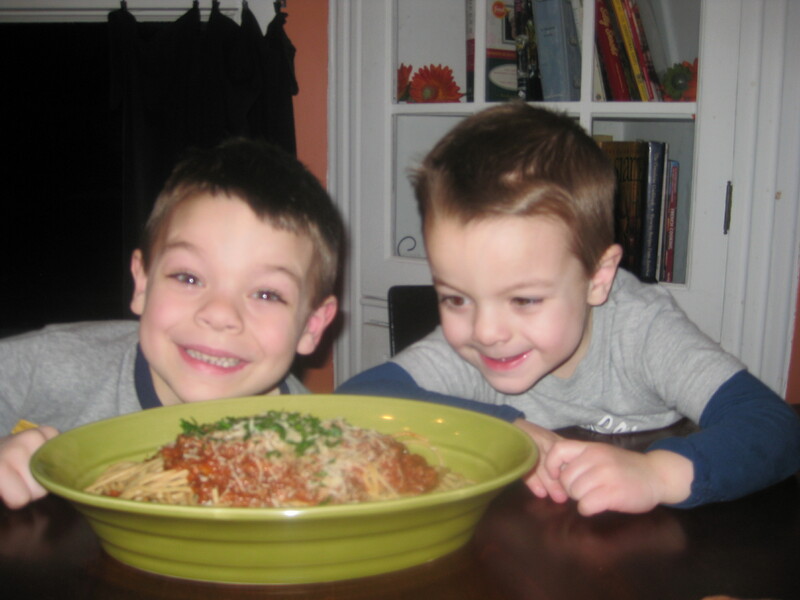 Use whole-wheat linguine pasta. It is just as delicious, especially with this kind of recipe; and it will offset the less healthy ingredients giving you some nutritional value. Add some fresh chopped spinach to the last step – (Steve does this too) – th e pasta will be hot enough to wilt the spinach and you will get a great nutritional addition to your meal. All of my own personal recommendations aside, Steve knows a good recipe – and that quality seafood is what it’s all about. Regardless of how much cream or butter you use, the key to a great recipe is fresh ingredients. If you plan on going all out on a wonderful recipe such as this, don’t skimp by using imitation crabmeat or pre-cooked shrimp (the ultimate sin)! Enjoy this with a nice, light mesclun salad of greens with a light vinaigrette and you won’t feel quite as guilty… and to drink? I like a nice citrusy chardonnay or a young red pinot noir with this. It’s a snowy day, my three year old has a cold, and my husband has been working outside – so I thought it would be a perfect day to do some kind of chicken soup in the crockpot. I have some wild rice in the pantry leftover from another dish, so I thought I would take a stab at a chicken and wild rice soup. Now, you’d think it would be easy to find a recipe such as this. I suppose it is, if you have vanilla tastes and you don’t want anything more than ordinary. I like a little creaminess to my chicken soup – or at least, a little extra kick. I like lemon, curry, coriander, ginger, or something beyond Grandma’s recipe. Plus, today I wasn’t able to get to the store for any special ingredients. 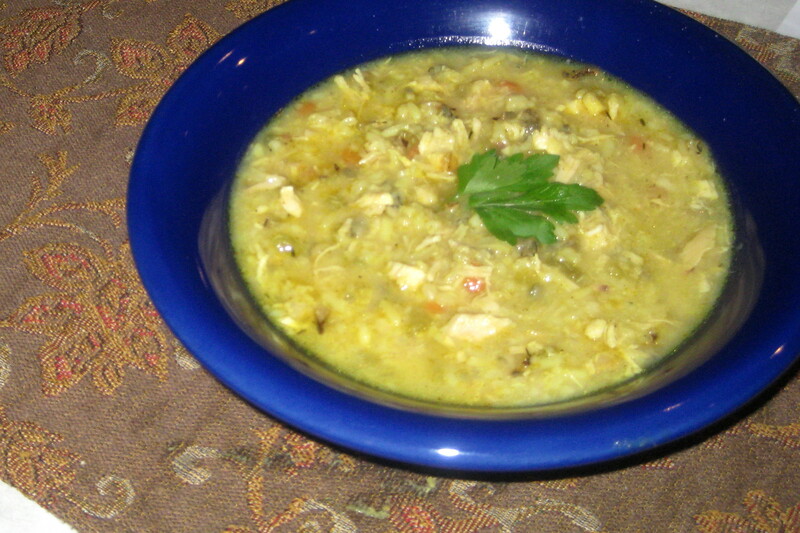 But it still wasn’t all I wanted in a Chicken and Wild Rice Soup recipe. 2 tablespoons flour – I actually used Wondra! Season the chicken pieces with salt and pepper. Heat a large skillet over medium heat, and add 1 tbl. oil and 1 tbl. butter. Sear the chicken pieces in the skillet in two separate batches, about 5-6 minutes per side, to get a nice browning. * Place the browned chicken pieces in the bottom of the slow cooker. Wipe out the skillet, lower the heat to medium-low, then add the rest of the butter and just a teaspoon of oil. Cook the celery, carrot and onion in the skillet for about 5 minutes or until just soft. Stir in the flour, season with 1/2 teaspoon salt and 1/4 teaspoon fresh black pepper, and remove from heat. Transfer the vegetable mixture into the crockpot with the chicken. Add the minced garlic, rice, and pour the chicken stock over everything. Add the parsley, turmeric, cumin, thyme, and bay leaf. Stir gently. Cook, covered, in the crockpot 1 hour on high. After one hour, reduce heat to low, and cook an additional 2-3 hours. At some point, and really, any time after the first hour – you’ll take the chicken pieces out, let them cool a bit, and then bone the chicken. Remove the skin, of course. Then chop up the cooked chicken rather fine – this is a good way to ensure no one gets a bone in their bowl. You should have about 2 cups of chicken. Return the chicken to the pot, and now add the cayenne pepper to taste. Replace the lid and heat through for the remaining cooking time – or if you wait until the end to bone the chicken, reheat for about 10-15 minutes. Before serving, remove the bay leaf and tied parsley. Taste again for salt and pepper seasoning (I added more here). Finish by stirring in the lemon juice just before spooning into bowls. Then grab a snuggie, some crusty bread or oyster crackers, and a glass of chardonnay – you are well on your way to comfort heaven. Wow! This surpassed all my expectations. This was family friendly, it had everything going for it. I’m not sure I would change anything, except perhaps to add the rice a little later in the recipe – maybe after that first hour in. I didn’t mind it soft, but I do like my wild rice to have just a little resistance to the tooth. And, though I was craving something creamy, this didn’t need it. It was rich and delicious, without being too unhealthy. I was really glad I ditched the written recipes and did my own thing here. When I do this again, (and I will) I’ll try just keeping the crockpot on low the whole time, for a longer time – to see if it would withstand being gone most of the day. Try it and tell me what you think!